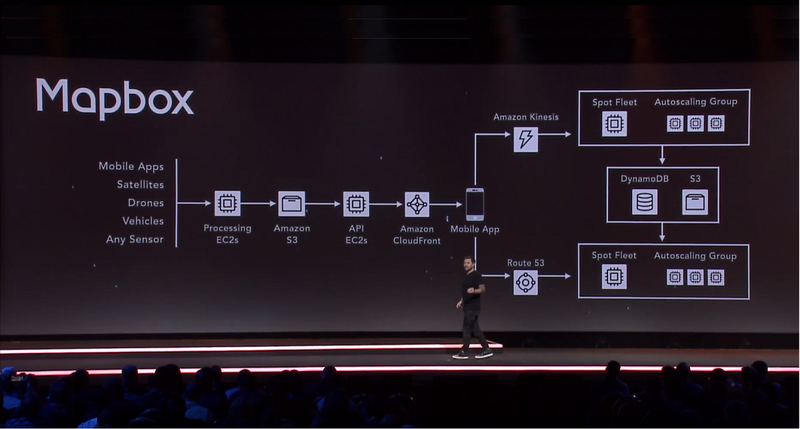 Mapbox can collect 100 million miles of telemetry data every day using AWS. Mapbox provides an open-source mapping platform for custom designed maps that serve more than 250 million end users across 11 countries. It is all in on AWS and runs across 10 regions. Mapbox uses Amazon Simple Storage Service (Amazon S3) to store petabytes of map and imagry data, and Amazon CloudFront along with Route 53 for fast content delivery. Mapbox CEO Eric Gundersen spoke onstage at re:Invent 2016. Learn more about how AWS can power your big data solution.